Japanese Pokémon players could soon be adding another legendary Pokémon onto their team. 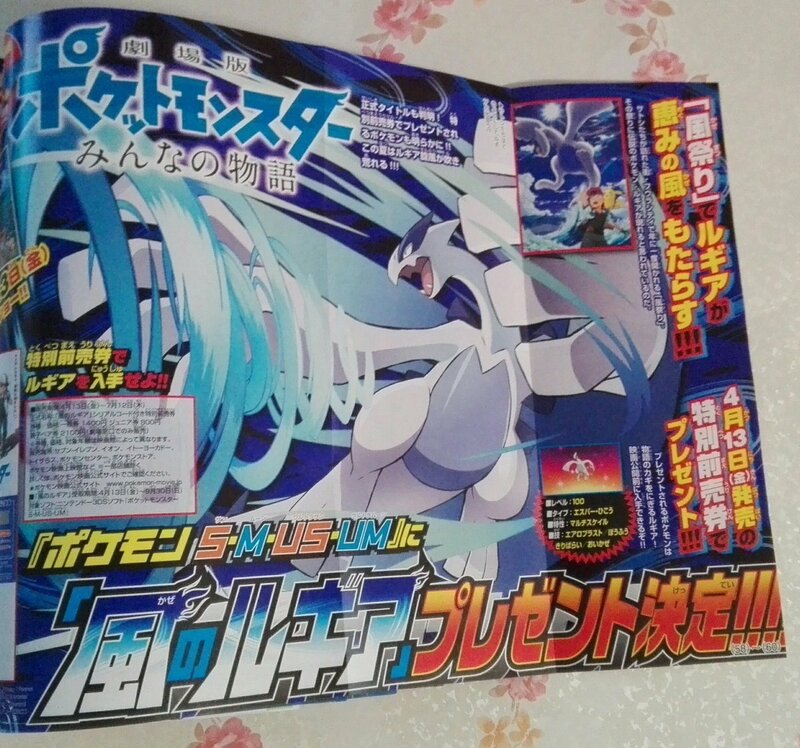 A leak from CoroCoro magazine suggests that Lugia will be available to players who own a copy of Pokémon Sun, Moon, Ultra Sun, or Ultra Moon when they prebook tickets for the upcoming Pokémon movie, Everyone's Story. CoroCoro, a monthly Japanese manga magazine, has revealed exclusive information on up-and-coming Pokémon games for years. The codes will be redeemable until Sept. 30, giving players plenty of time to download their special Lugia to a game of their choice. This Lugia will be at level 100 when downloaded and comes with the hidden ability Multiscale, which reduces the damage taken from movies by half while at maximum HP. 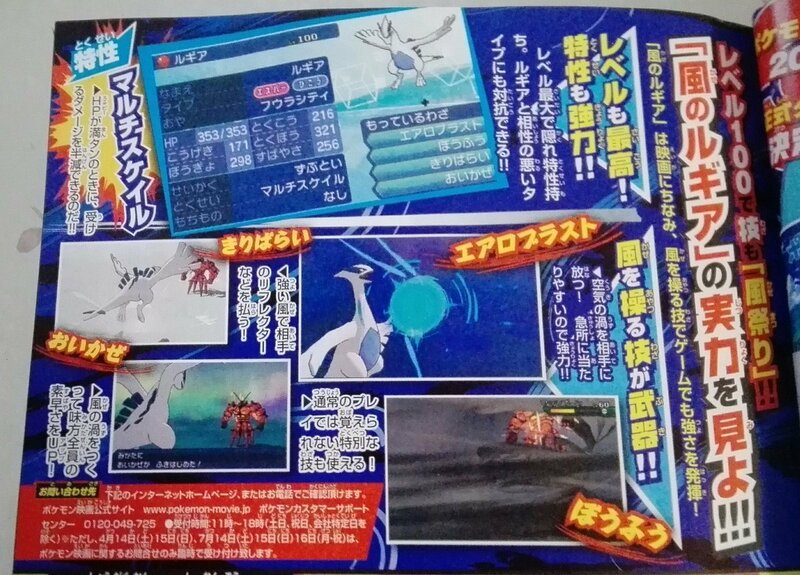 The Lugia's moveset will include Aeroblast, Defog, Tailwind, and Hurricane, which is a move Lugia can't normally learn through leveling up. For the time being, the code will only be available to Japanese players or those who see the movie in Japan.